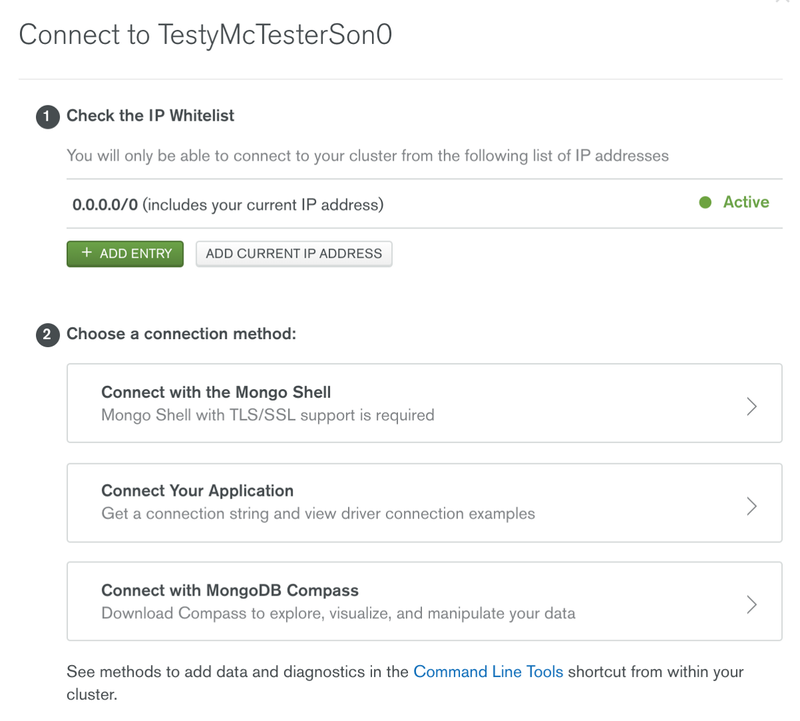 MongoDB Atlas — Setting up MongoDB Compass Community — 6 of x. Setting up MongoDB Compass Community is up next! Hello, welcome to our 6th tutorial. 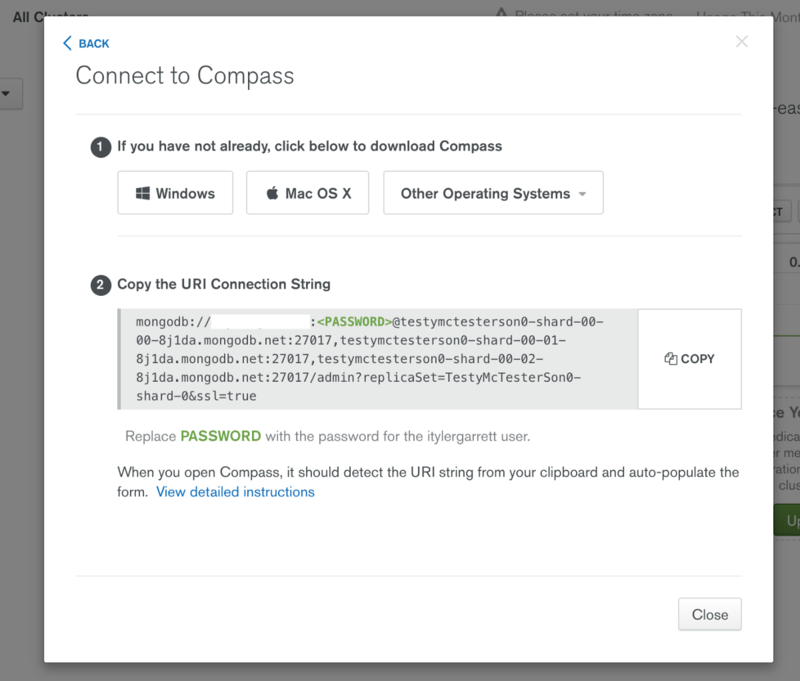 Our previous MongoDB Atlas tutorial walkthrough helps you get to the MongoDB Compass installation. Scroll to the bottom to jump into the rest of this series, especially if you’re just starting here. We will jump in now. 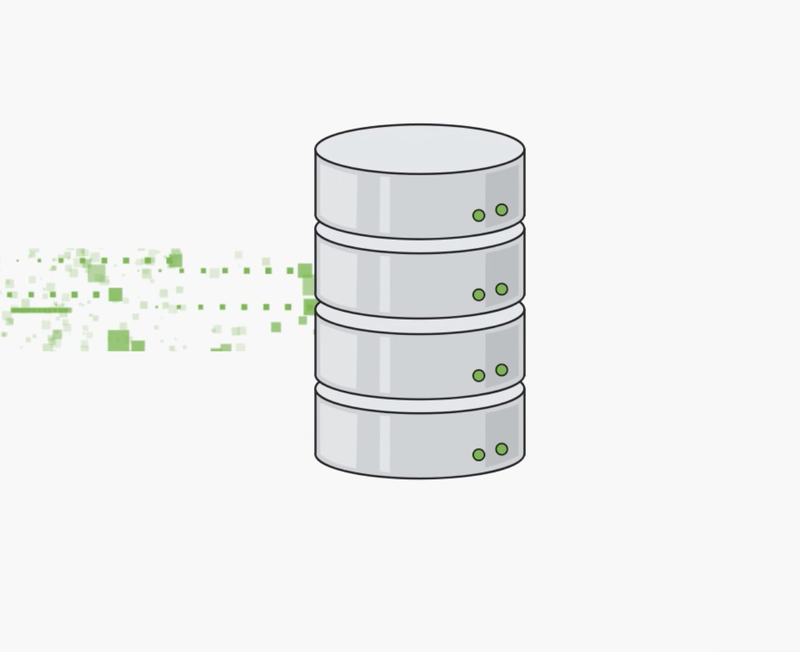 Are you ready to connect to your MongoDB instance? Me too. Woohoo. I’m excited easily. MongoDB helps you SEND the correct connection info, in a simple copy/paste workflow, explained below. First, jump back to your MongoDB Atlas login. In the far right of your screen, you should see Connect. If you don’t, click on your Overview tab. Click connect, now you get the same pop-up menu we used in the previous lesson. 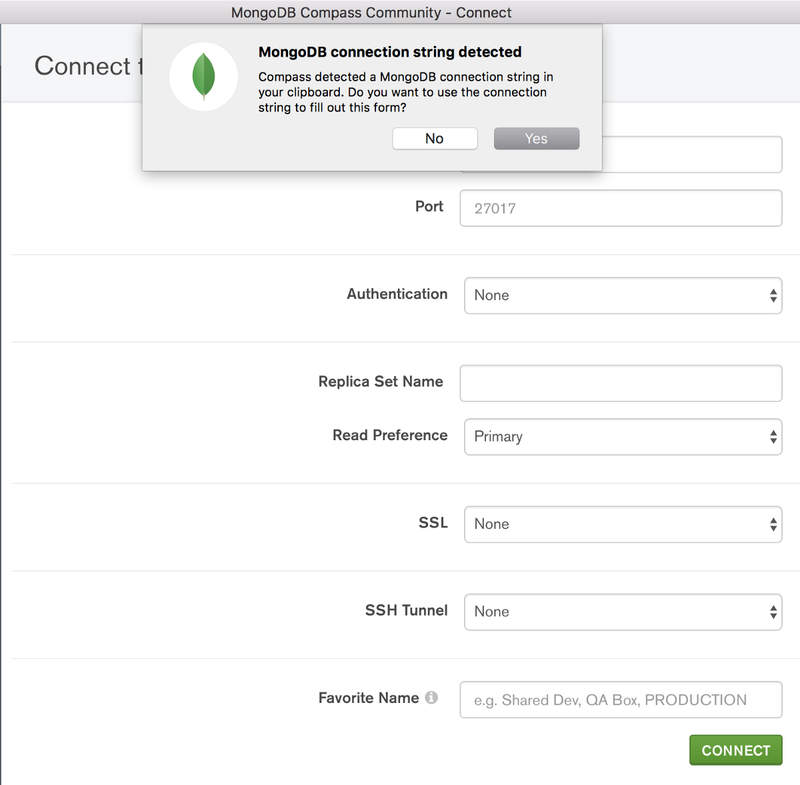 Find the ‘Connect with MongoDB Compass’ button. Once you’ve clicked on the button above, you get another menu. Copy the above code into a notepad, brackets, notepad++, whatever you can quickly edit and keep track of. Paste the code, and check out the screenshot below. I’m using photoshop to display an ‘editing’ of my username, and the red line is where you’re going to paste YOUR password. Again, it doesn’t carry your password with it. We are hunting to use this nice little functionality the developers at MongoDB generated for you to quickly do your user form. An example of how I built this! Once you’ve followed the above steps, it will auto-fill your form! H311 yeah! Mac users, it’s a leaf. Woot. If you followed the above steps and copied the new code, with your <password> embedded, you will be able to jump into this form without figuring out what everything is. A beautiful solution. Well done MongoDB. Again, if you worked through the above section, and followed all the steps. You will not need to understand what these fields are. This pop-up covers your MongoDB Compass form. Click Yes. 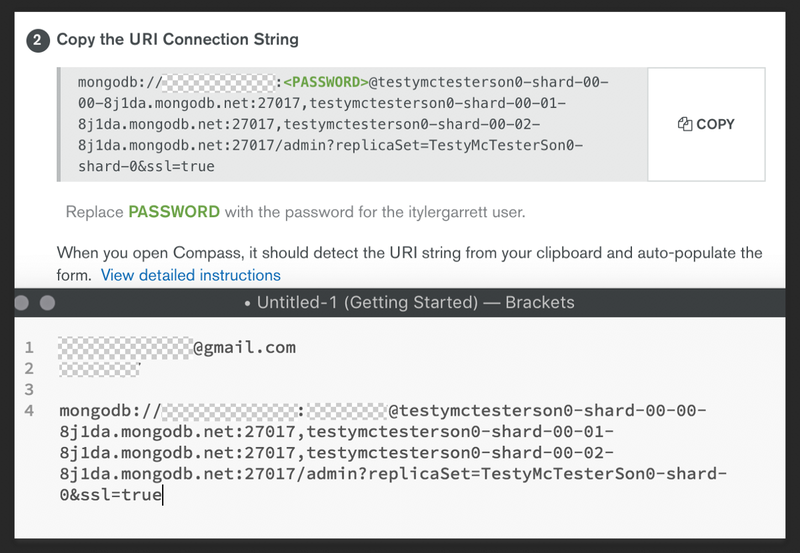 This process above will help you quickly add connection info in your MongoDB Compass Community product. Click Connect and see you in the next tutorial. MongoDB Atlas — Finding the simple in the complex. 1 of X.
MongoDB Atlas — 3 of X. 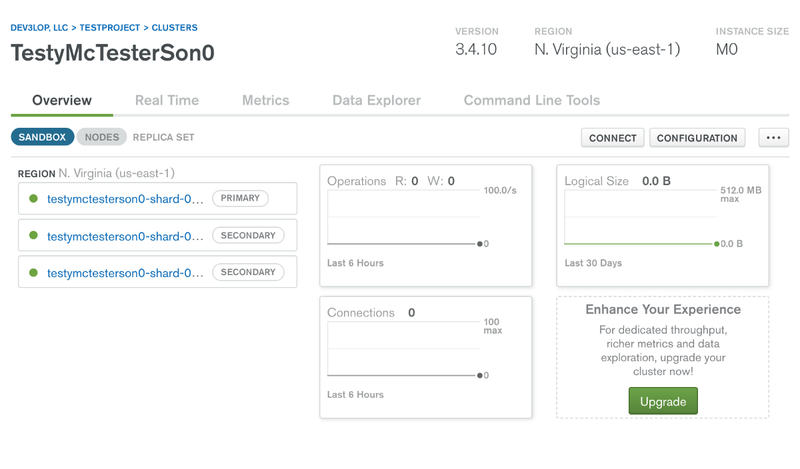 Setup your MongoDB Atlas — Build Your New Cluster. MongoDB Atlas —Connect an IP, Make it Public, Delete Access — 4 of X.
MongoDB Atlas —Install MongoDB Compass— 5 of X. Step 6: You here mate. You here. More coming soon. Great things starting you. I have understood your matter former to and you are just too wonderful. I really like anything you have developed now.